Sometimes the most compelling way to present a story is to take a step back. A narrative can, and will do the work for itself, giving the audience the chance to make its own conclusions. But, make no mistake; this “hands-off” approach doesn’t take any less work than the alternative. 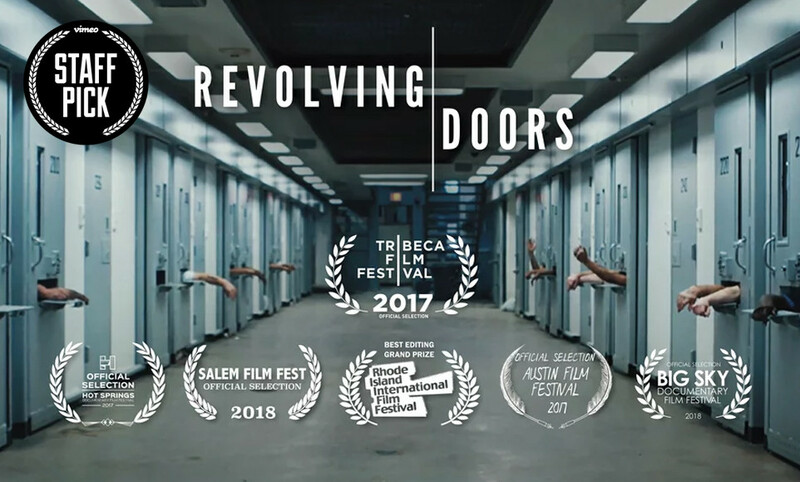 Documentary filmmaker James Burns went to painstaking lengths in building relationships with his subjects in Revolving Doors, a film that follows a man facing his second stint in prison. But, by putting in the time to build relationships, he had the opportunity to reveal the humanity behind recidivism in the prison system. Burns, an ex-convict turned filmmaker, crafts stories about how quickly we forget that incarcerated individuals are still human like the rest of us. Here’s our conversation with James. Musicbed: How did you find this story? I met Jason Bobbitt on the set of a feature film called Jamesy Boy, which is, ironically, a story about my life and the years I spent in prison when I was younger. We were looking for the right person to play the role of a mentor figure for the protagonist while he’s in prison. I didn’t want to cast an actor, because I felt like a lot of the guys we were seeing weren’t bringing the raw authenticity the role called for. Somebody brought Jason Bobbitt to the set. He’d never acted before, but it's very clear from the second you meet him that he’s got a presence you can’t ignore. I put him on tape, I brought it to the director, and I was convinced we had to cast him. And that’s what we did. After he finished his scenes, Jason told me he was really thankful. He said, "I just want to thank you because for the first time in a long time, my kids are proud of me." We got into a discussion about what that meant, and I found out Jason was looking at 20 years in prison for conspiracy to distribute cocaine. I’d been working on an idea for a piece that focused on recidivism, and I wanted somebody who wouldn’t be afraid to open up and bare his or her soul. That’s exactly how Jason is. He was never afraid to tackle something controversial; he didn’t shy away from things that could be painful. Jason had a great grip on everything that was happening — including the things he couldn’t control — and he was able to articulate what he’d been going through and experiencing in a very eloquent way. Are Jason and his family representative of a larger group of Americans? I’d say yes and no. He does have a similar story to what other people are going through, in the sense that he’s a nonviolent offender who is going to prison for drug crimes. He’s trying to support his family in a failing economy and uses the black market to do so. And his kids are caught up in a cycle that perpetuates itself. It’s handed down from generation to generation. So, in that sense, it’s very much the same story you might hear from a lot of people. What’s unique about Jason, though, are his self-awareness and resilience. Literally all he cares about is breaking that cycle, so he can be there for his kids. How much did you work with the family to build out the story? I’m not an objective fly on the wall. I like to immerse myself in other people’s stories. So we built a rapport over time as we talked about what they were going through. I looked for interactive moments and moments of simple intimacy — moments where Jason was connecting with his children in a way that was solely theirs. At one point we were chatting about their day-to-day lives, and Jason talked about how one of his kids needed a haircut. I was like, “Wait, hold that thought! I’d love to be there when you cut their hair.” I thought it was a great way to show Jason as a father caring for his children, talking with them. It was perfect for introducing the kids in a creative way and showing the connection they have with their dad at the same time. Having become so close to Jason, I made sure to check in with him consistently to make sure he was comfortable with the story we were telling. But his kids are very much like him, very honest and very brave. They definitely inherited his nature. Did you run into many challenges in capturing this story? It was a passion project. So, yes. [laughs] It took two years to shoot the film, and a huge part of that delay was because we didn't have the funding for it. We also didn't know whether or not Jason was going back to prison and for how long. Having served time myself, I was afraid that going back would change Jason in some ways, and it did. When he was out, he felt like he had his kids on the right track. They were going to school, they were playing sports, and the moment he left they were dropping out of school, selling drugs. I think that devastated him. I think he felt a bit defeated. That was a big reason why we pivoted to focusing on them in the latter part of the film. In that moment, with where he was emotionally, it was obvious that the kids needed to become the new focus in the story. When you’re doing a documentary project like this over such a long period of time, the people in the film can change a bit. Their feelings about the situation change as they learn to cope with and process the experience, and sometimes they lose momentum. But to be honest with you, this film has always been in my heart. So in terms of emotional continuity and just keeping that energy going, it wasn’t hard at all. I get attached to projects. Sometimes you live and breathe your projects until they feel instinctual. This was one of those experiences. Why was that intimacy so important to telling the story? Because that’s where the heart is. Those intimate moments are oftentimes meant to be private; it’s rare to capture that in its true form. But when you capture that intimacy, you capture real relationships. At the end of the day, my goal was to capture very human portraits of Jason and his family. I hope we were successful. 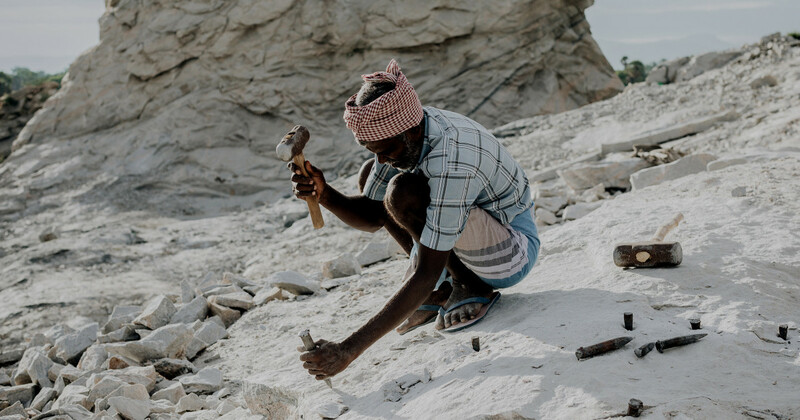 The purpose of this film is to instigate a deeper discussion about the people who find themselves in this situation. I don’t think we can do that if there’s no intimacy to the story. If we’re talking about incarceration, recidivism, families who are caught in a cycle of poverty, then we need to put a human face on it and hear about it from their perspective. Connecting with these characters is a more effective way to talk about these issues. I’m not an activist by any means. My filmmaking is about creating a portrait, more than anything. I’ve become closer to my own experiences in and out of prison through documenting the experiences of others. I’m able to take a step closer to my own humanity when I tell the story of someone who’s been through similar life experiences. I don’t ever want to feel like it’s my job to make a film. It comes from the heart. It’s been therapeutic for me as well. When I was in solitary confinement, I taught myself how to read and write. And it was then that I realized I could use film as a tool to synthesize everything that was happening and then share the experience — not only with myself, but with other people. Film and music and poetry are so closely tied together. A film can be as powerful as a poem or a song. I just happen to be a very visual person. Over time, I’ve learned that film helps me remember to be as thoughtful and open as possible — against all odds. That’s what I did with this film: I listened to my gut.